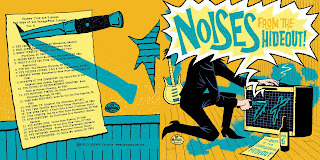 Just finished this sleeve art for the upcoming download-only compilation Noises From The Hideout. 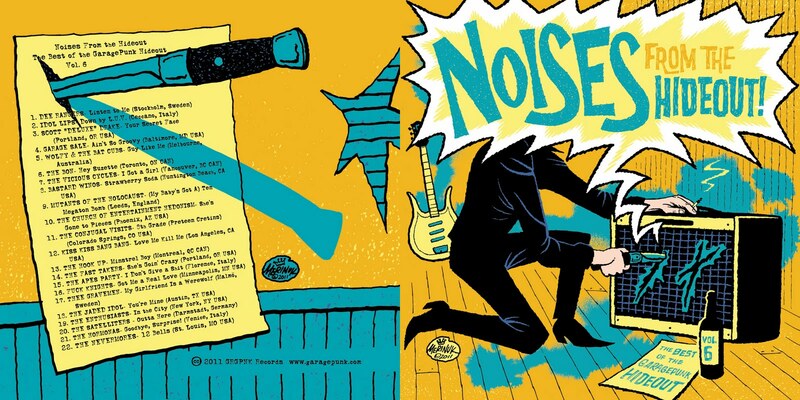 This is the 6th in a series of comps put together by the GaragePunk Hideout website and you can download the album there starting September 19. Stay tuned for MORE ACTION! 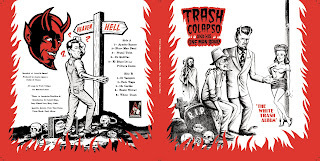 Here's the cover art for the upcoming LP by Argentinian one man band Trash Colapso. My idea for this one was to have it look like one of those weird, primitive religious albums you see in thrift stores. 'Cuz weird, primitive and religious are where it's at, Jack. Incidentally this is the first one man band I've done a sleeve for since the one I did for a Hasil Adkins record way back in 2001. More stuff comin' soon so... Stay tuned for MORE ACTION!